The wild success of Australian Shiraz caused its own undoing. Like Santa Margherita did with Pinot Grigio, Yellow Tail made Shiraz first ubiquitous and then reviled. Fortunately for Italy, few regard the insipid and overpriced Santa Margherita as representative of all Italian wines. I’m not sure the same can be said of Yellow Tail and its fellow critter quaffers (wines with cute animals or animal parts on the labels). Insta-hangover Yellow Tail put me off of all Australian wine for years, and only after I visited the continent a few years ago did I start dipping my toe in again. Australia’s unjust reputation as a lake of rustic, chemically-tinged Shiraz lingers, despite the country’s vast variety of wine grapes and wine styles, made in an array of vastly varying terroirs. It’s not all sun-baked cooked fruit Down Under. The cool-climate Pinot Noirs, Chardonnays and even Rieslings are pure delight: fresh, vivacious and well-balanced. Most distributors must think that we’re not interested in interesting Australian wines. Let’s give them a reason to change their minds. 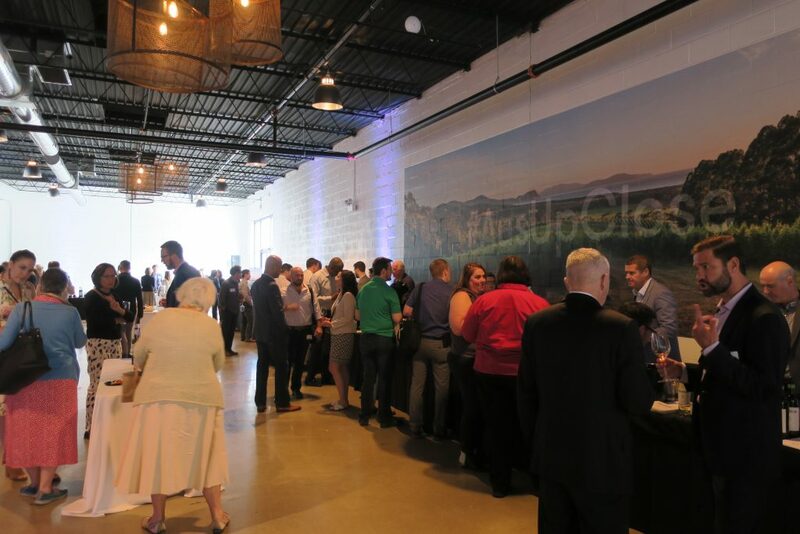 I found all sorts of beautifully crafted wines at this tasting, and I didn’t have the time to try even half the ones I wanted to. First, what to avoid: About 60% of Australia’s wine grape crop comes from hot interior regions, according to The World Atlas of Wine, and much of this is sold in bulk, often without indicating its place of origin. Skip any wine that doesn’t come from a specific region. Look in particular for bottlings from the Adelaide Hills, Clare Valley, Margaret River, Yarra Valley and Tasmania. 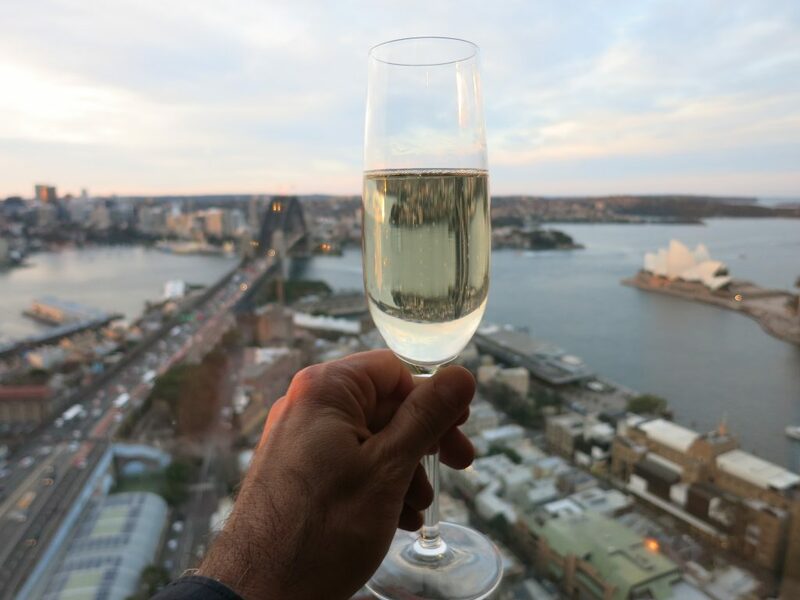 Of course, this list is not exhaustive — Australia makes high-quality wines in numerous other locations — but I find examples from these regions consistently compelling. You might not see the specific labels below on a wine list or in a local shop, but this at least gives you an idea of the sort of thing that’s happening right now in Australia. My goodness, they’re making some exciting stuff! 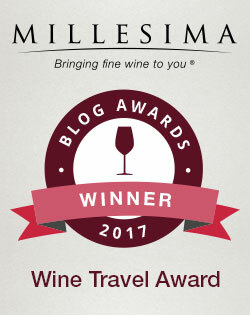 Assyrtiko: I can’t recall trying an Assyrtiko produced outside of its home in Greece (the grape originated in Santorini). The Oxford Companion to Wine notes that “its ability to retain acidity in a hot climate has encouraged successful experimentation with it elsewhere,” notably in Australia. 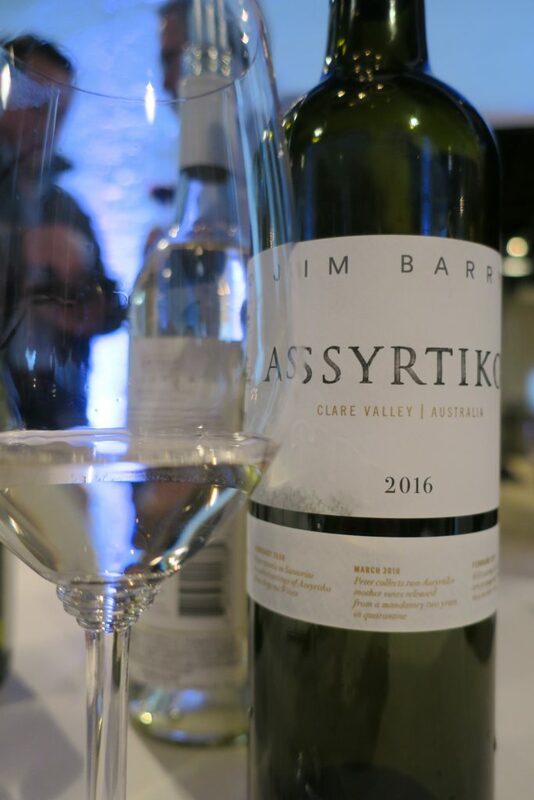 This 2016 Jim Barry Assyrtiko comes from the Clare Valley, north of the Barossa Valley which is north of Adelaide. Its higher altitude gives it cooler nights than Barossa, and cool nights help grapes retain acidity. I loved this wine. Its apple-inflected fruit had a touch of creaminess to it, and its lemon-lime acids were so lively as to verge on pétillance. The wine felt juicy, but it ended clean and dry. Not inexpensive at $35, but it has the chops to back up the price. Chardonnay: I’m sure that like California, Australia makes its share of flabby, over-oaked and over-buttered Chardonnays. And like California, it can also make Chardonnay with focus and elegance, rivaling those of Burgundy. For example, the 2014 Tolpuddle Chardonnay from Tasmania, an island off the south coast that is Australia’s coolest wine-growing region, had a wonderful aroma of slightly burnt buttered popcorn. It tasted a little of butter too, it’s true, but juicy lemon-orange acids and refined white-pepper spice kept the wine perfectly in balance, and it finished on a refreshing tart note. Superb, but expensive at $60. Marsanne: This grape variety may be from the Rhône, but the world’s largest Marsanne vineyard is in Australia’s Nagambie Lakes region, north of Melbourne, as are the world’s oldest Marsanne vines. Both belong to Tahbilk, a winery founded by a Frenchman in 1860 (the oldest vines date to 1926). The 2015 Tahbilk Marsanne had the appealing aroma of a fresh caramel apple, overlayed with a hint of roses. It starts with clean, clear, pure fruit, which promptly gets roughed up by some rowdy orangey acids. The wine tastes fresh, juicy and round, and worth every penny of its $18 price tag. Riesling: Riesling fear still runs rampant. Just as many think of all Chardonnay as oaky butter bombs, there are those who regard all Riesling as insufferably sweet. 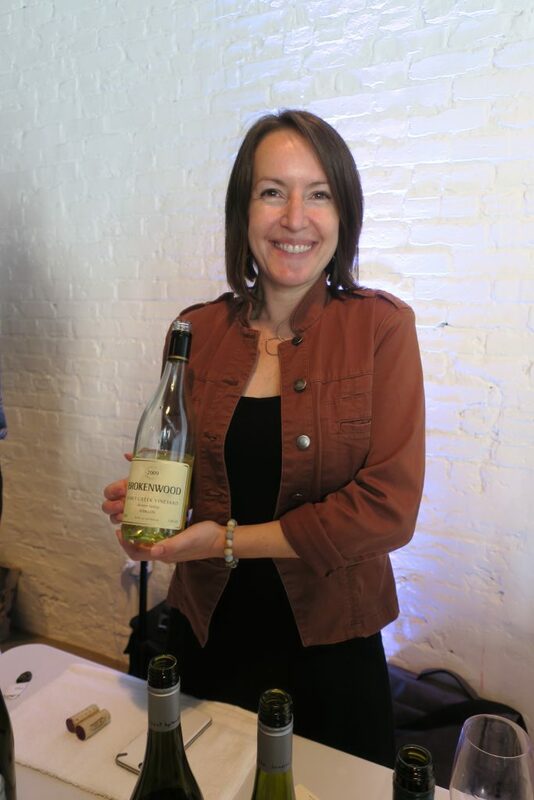 There is sweet Riesling, yes, but there are also bone-dry versions like the ones presented at this tasting, a 2016 Jim Barry “Lodge Hill” Riesling ($19) and a 2010 Kilikanoon “Mort’s Reserve” Riesling ($35). They both came from the Clare Valley, a region which produces “some of Australia’s finest Riesling,” according to The Oxford Companion to Wine. And both had classic aroma aromas of shower curtain (more often called “petrol”) and white fruit, flavors like apples and pears, tart and juicy acids, and dry finishes. The impressive liveliness of the 2010 Kilkanoon served as a reminder of Riesling’s capacity to age with great grace. Semillon: The most important grape in Sauternes can also produce dry wine of great distinction, as evidenced by the 2009 Brokenwood “Oakey Creek” Hunter Valley Semillon ($32). This wine is an exception to my cool-climate recommendation — it’s far to the north of the other regions noted above and as such, it’s subtropical — but according to The World Atlas of Wine, “Hunter Semillon is one of Australia’s classic, if underappreciated, wine styles.” I loved the Brokenwood’s juicy freshness, balanced with a touch of creaminess to the fruit. It was the wine equivalent of a margarita, in the best possible way. I’d buy this wine any day. Vermentino: Traditionally grown in northern Italy and Southern France, this grape also does quite well in the McClaren Vale, a region just south of Adelaide with thin topsoil and a climate that “could hardly be better for the vine,” according to the World Atlas. The 2016 Mitolo “Jester” McClaren Vale Vermentino had aromas of shower curtain and tart orange, and deliciously light and clean fruit on the palate, followed by orangey acids and a dry finish that verged on tannic. Very well-integrated, and a steal at $16. Grenache: I tried two examples of this very fruity variety, known as Garnacha in Spain, from regions on either side of Adelaide: the McClaren Vale to the (cooler) south and the Barossa Valley just to the north. The 2014 Yaldara “Ruban” Barossa Grenache tasted ripe and richly fruity, with ample white pepper spice and a savory, almost bacony note underneath. An excellent value for $23. The 2013 Woodstock “OCTOgenerian” from McClaren Vale blends 15% Tempranillo with the Grenache, resulting in a cherry-tinged wine with a cough-syrup note, leavened by bright acids, focused spice and a eucalyptus freshness. A bottle of this would be $27 well spent. Pinot Noir: Perhaps the ultimate cool-climate red grape, known for its success in places like Burgundy, Oregon and New Zealand, Pinot Noir also shows beautifully in Australia. Consider the 2016 Innocent Bystander Pinot Noir from the Yarra Valley, which exhibited classic aromas of dark cherry and earth. I loved its clear tart-cherry fruit, lively acidity and notable spice, as well as its surprisingly long finish. It would surely pair well with a range of foods. More power to you if you can find a Pinot of similar quality for $20. 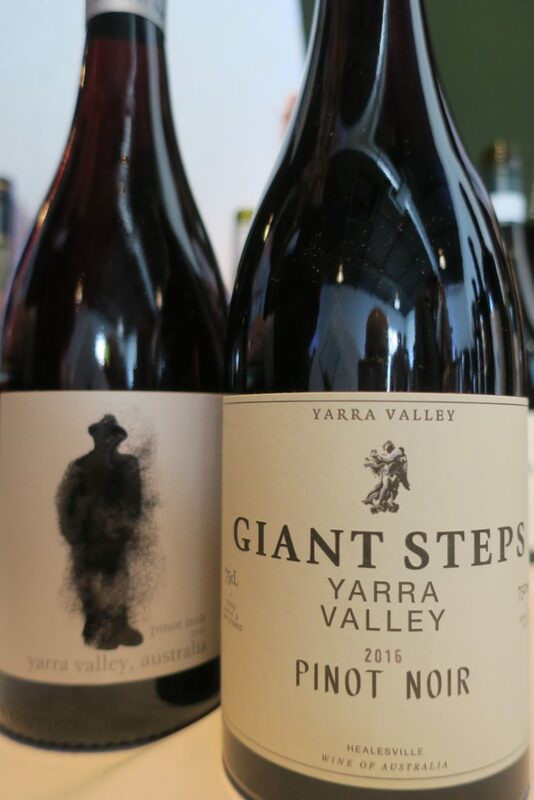 I also tried the 2016 Giant Steps Pinot Noir, also from the Yarra Valley, which costs twice as much. For that additional $20, you get more depth and ripeness of fruit, more polished acids and spice, and more-than-usually graceful shifts from note to note. 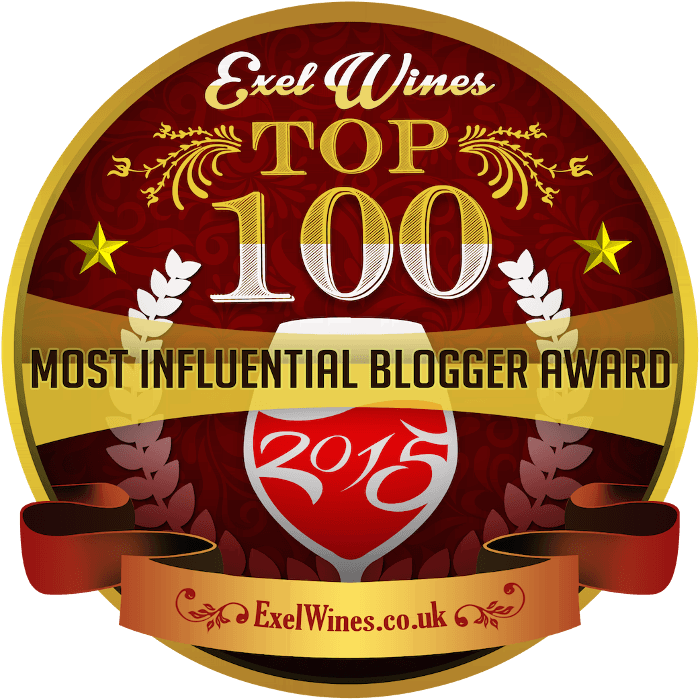 Shiraz: Well, I couldn’t escape an Australia tasting without trying at least one Shiraz, so I made it count. I sampled the 2012 Jim Barry “The Armagh” Clare Valley Shiraz, and I knew immediately that I would love it. I could smell the wine three inches away from the rim of the glass! The aroma exploded with big, jammy red fruit, along with a touch of wood. Woo! And what a luscious flavor: huge fruit, like fresh raspberry jam, and no small amount of wood. Yet both flavors were beautifully balanced, and ample acids kept the wine from feeling ponderous — it felt startlingly light on its feet, though certainly not light-bodied. Immense, but elegant. And that’s what you get if you plunk down $245 for a bottle of Shiraz! What an exceptional article. Thank you very much for writing. Wow, thanks, Dan! Much appreciated.